Sometimes I arrive home after an intense working day and I crave for some nice pasta for dinner, easy to cook and scrumptious. Other times, it happens to have friends for dinner and little time to cook even though there is the desire to prepare something unusual and unexpected. 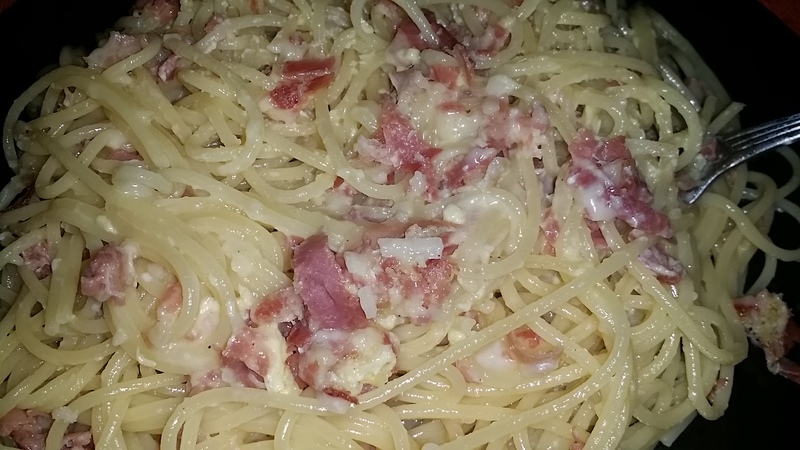 In these situations, one of my favourite recipes is Pasta with Funghi e Prosciutto (Mushroom and Ham), just like the famous pizza. All you need is (quantities for 2 people): 160g of pasta, a thin slice of cooked ham (Prosciutto Cotto in Italian), 3 champignon mushroom or equivalent, parsley, garlic, a pinch of salt and some white wine, Parmigiano cheese to add the finishing touch. It is very easy to proceed: slice the mushrooms and put them in a pan where you have already browned some garlic and parsley in olive oil. Add some salt and a few ml of water in order to let the mushroom cook. Once cooked (they reduce in size and become tender) you can add some white wine to enhance the taste. Just remember that the wine shall be quickly vaporized. Add garlic, parsley and/or some vegetable stock to reach the desired taste, however keep in mind that the ham might be salty, hence you might prefer to add some condiment on a later stage. 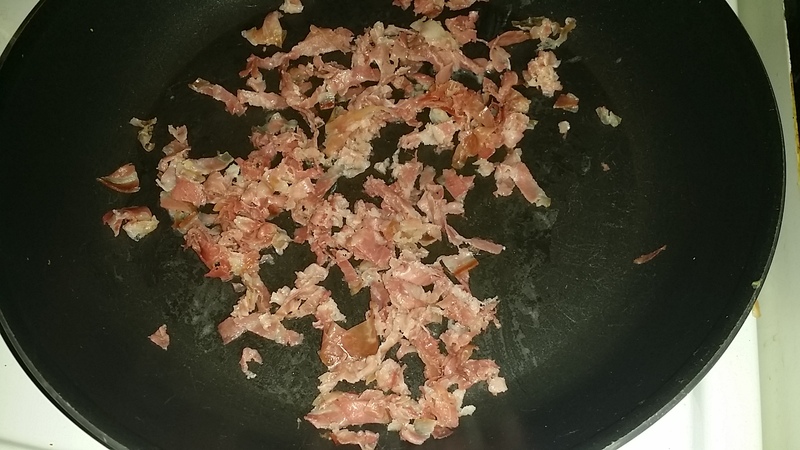 Shred the ham in tiny pieces and add theme to the mushrooms once the pan is not any longer hot. Note that you do not have to fry or cook the ham but you just need to get the mix warm!! Mix the two ingredients while the pasta is cooking and then add the pasta to the mushrooms and ham condiment. Sprinkle some parmesan on top and serve. 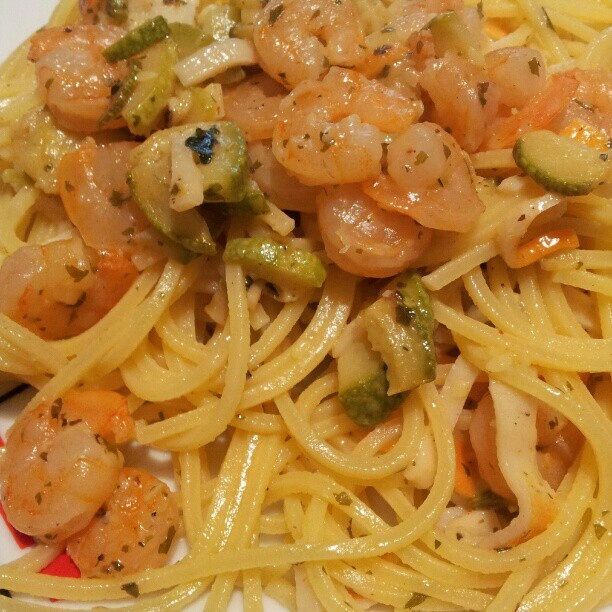 If the pasta looks dry, add some olive oil. 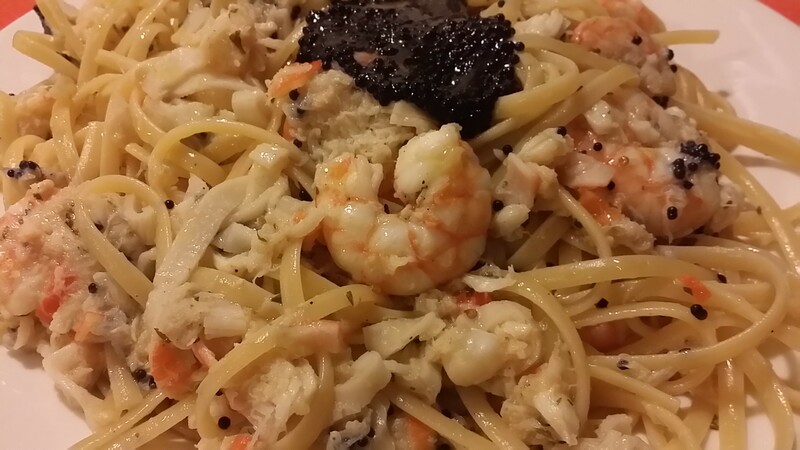 This entry was posted in Cooking, Easy to Cook, Food, Pasta, Recipe and tagged Food, Italian food, Italian Recipe, Pasta, Pasta Lovers on June 22, 2015 by andreadetto. 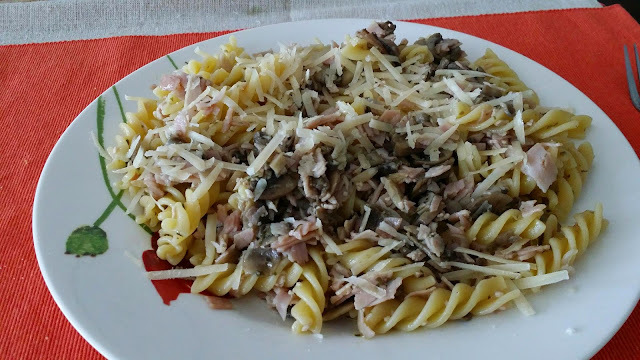 160-200g Paccheri (or Tortiglioni or another kind of short Italian Pasta), 50/100g of wild mushrooms (champignon, porcini or other), half can of plain lentils (100g approx), 3 tablespoons olive oil, 1 handful parsley (fresh or dried), garlic, a teaspoon nutmeg, chilli and pepper if you like, 1 handful grated Parmigiano (Italian parmesan cheese), a pinch of salt, 20g of salted butter, a tablespoon of milk and a small glass of white wine (optional). Brush off any dirt from the mushrooms with a pastry brush or a tea towel. Slice the mushrooms in tiny pieces. Put the olive oil in a pan together with the garlic and the parsley, brown them for few seconds and then add the mushrooms. Let them cook slowly for few minutes, tossing from time to time and adding a punch of salt. Then turn up the heat and add a part of the white wine. When the wine dries you can add some water until the mushrooms are almost cooked. At that point add the washed lentils, half glass of water, a pinch of pepper, nutmeg and chilly (if you like it) and cook at low heat mashing a part of the lentils and mushrooms with a fork. When the lentils and mushrooms are cooked, cook fast increasing the heat for 3 to 4 minutes adding the remaining wine and simmering until it will be almost evaporated. Then turn the heat off, add the milk, a part of Parmigiano, the salted butter and a bit of crude olive oil. Toss and season, to taste. 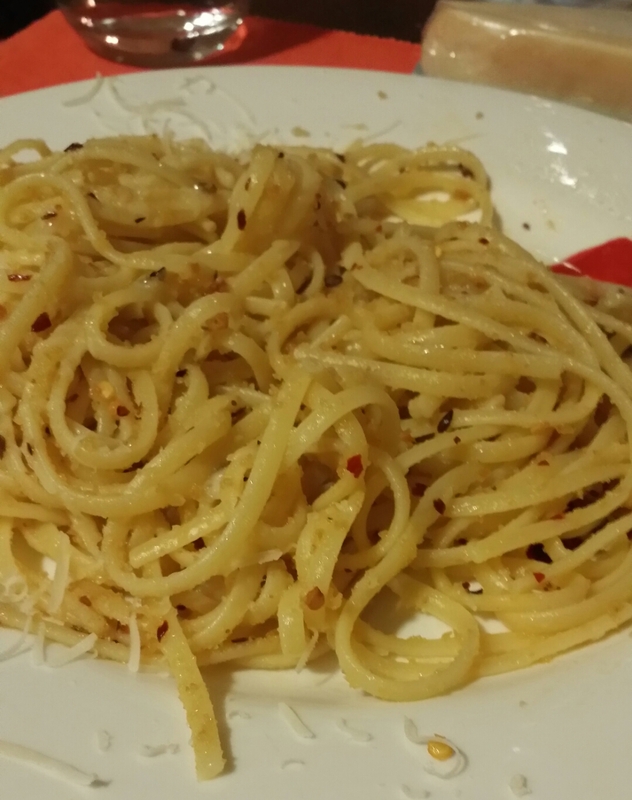 Drain the pasta you cooked ‘al dente’ meanwhile and add it to the seasoning in the pan. Toss gently, coating the pasta with the mushrooms and lentils cream and their flavor. Serve, sprinkling the remaining Parmesan on the top. 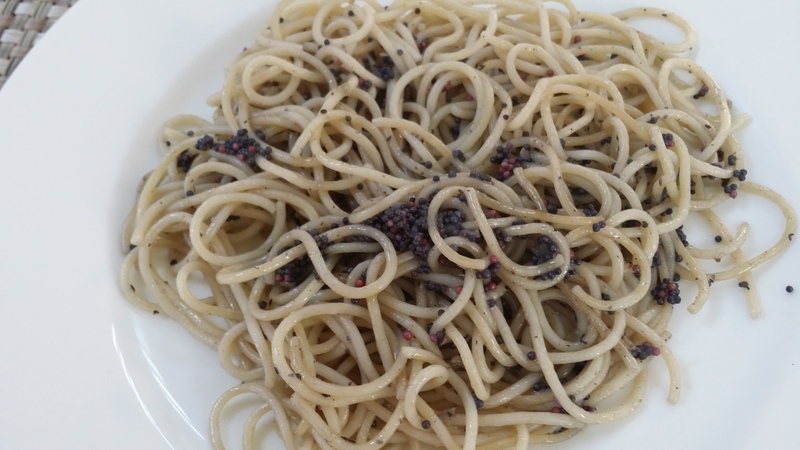 This entry was posted in Cooking, Food, Pasta, Recipe and tagged Chef, cooking, Italian Recipe, Lentils, Paccheri, Parmigiano, Pasta, Pasta Lovers, Recipe on June 10, 2015 by andreadetto.